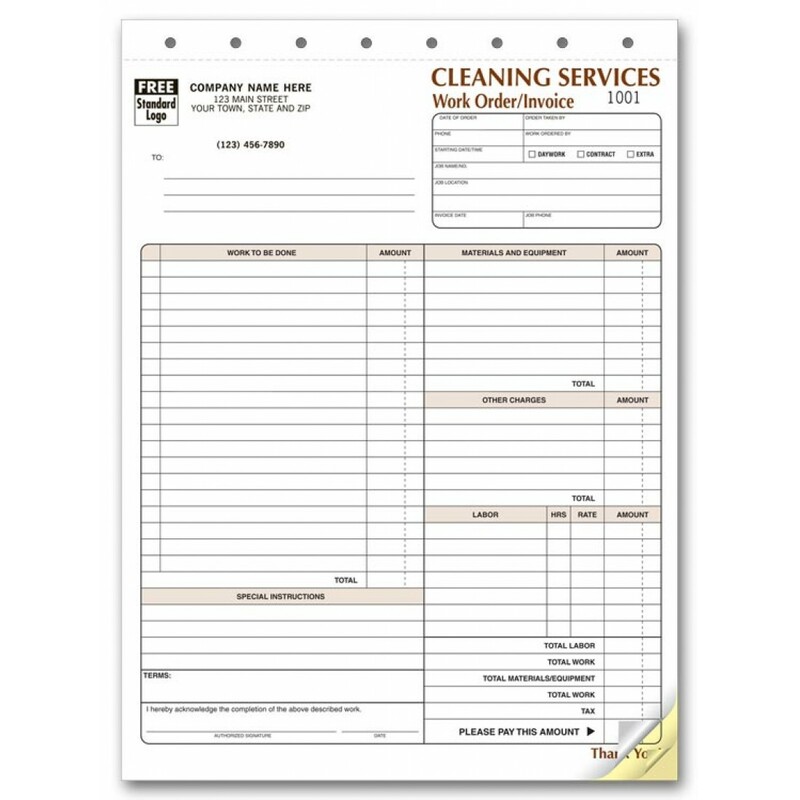 Cleaning Service Invoice Forms 6527 At Print EZ. Cleaning Service Invoice Forms Item No. 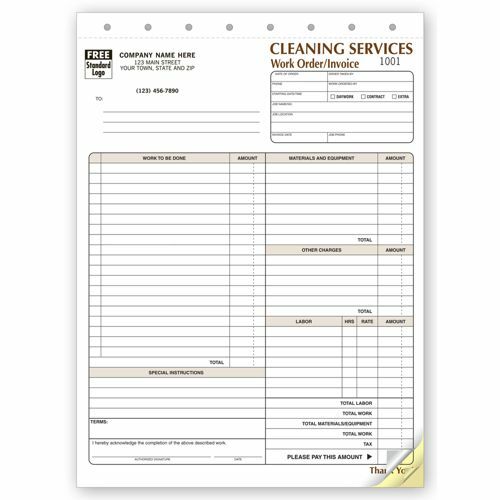 6527 Size: 8 1/2" x 11"
Developed professionally, these cleaning service invoice forms are extremely effective in not only saving you time and effort but also taking your advertising a notch above. Offering a format where everything right from the work to be done to the material to the labor and even special instructions are well segregated, these forms are as easy to write out as they are to read. The NCR paper ensures quick copies without important information being left out or having to deal with cumbersome carbon sheets. Brand the forms with your company logo and name and that too at no added cost. Impress the client with a professional look at the while leaving a positive imprint of your company on the clients mind.